Warranties are very limited for RV's. The original RV Manufacturer will offer some type of a plan. That may be very several years covering most items and then limited for a few more years. It can also get very confusing about who is actually responsible for a problem. Many motorhome manufacturers will use a different chassis, engine, transmission, etc to make their RV. Depending on what actually failed will determine who warranties it. Worse, many RV Sales facilities are really only equiped to handle the coach aspect of an RV - not the chassis, engine, transmission, etc. A camper, pod, 5th wheel will be just the opposite. It won't have any of those items, like a self-contained RV so the defects/problems are much easier to have taken care of. This is the area that becomes so important. Your original warranty has expired with the manufacturer of your RV - be it self contained or not. Depending on what type of RV you have, will determine some of the options. Self Contained Motorhome RV's actually have an excellent option. Non-Self contained ( pods, campers, 5th wheels, etc.) are more limited in their options and also coverages. In most cases, you need 2 different plans - a towing/road service plan and an aftermarket warranty plan. Some companies will offer both, some will only offer one. Be sure to do your research very carefully on these plans - otherwise, you'll be paying twice for the same coverages! 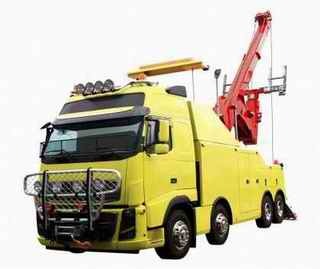 The warranty repairing companies are smart enough to find a garage that will work on your particular vehicle FIRST, then they will find a towing company to get you there. Be sure yours does - before being towed!! Just imagine if they did the opposite - you could be towed several places before someone agrees to work on your vehicle! Guess who will pay for the 2nd, 3rd tow - you!! OK - so where's the great plan for my RV? A company called Wholesale Warranties is fantastic. They provide it all, for the best price we've found in the Industry! Wholesale Warranties covers the major mechanical components in your rig, like appliances, slide-outs, engine components and more! - not bad, huh?!? Certainly worth looking at. We know we are SAVING $ with Wholesale Warranties and they cover soooo much more within their plan - a Win-Win for everyone!